Pursuing a career as a chaplain does not limit you to only acting in military and hospital capacities. Sports Chaplains are needed to create a holistic and spiritually rich environment in the world of sports where athletes can receive counseling, spiritual guidance, and mentorship from religious leaders. Liberty University offers a 100% online Master in Sports Chaplaincy program to provide the training you need to meet the educational and personal needs of athletes. Our Master’s in Sports Chaplaincy degree is designed to prepare future sports chaplains for a biblically-based sports ministry in both religious and secular settings. Knowledge of effective methods and strategies will be gained to produce graduates who will serve as valuable and essential assets to their team. 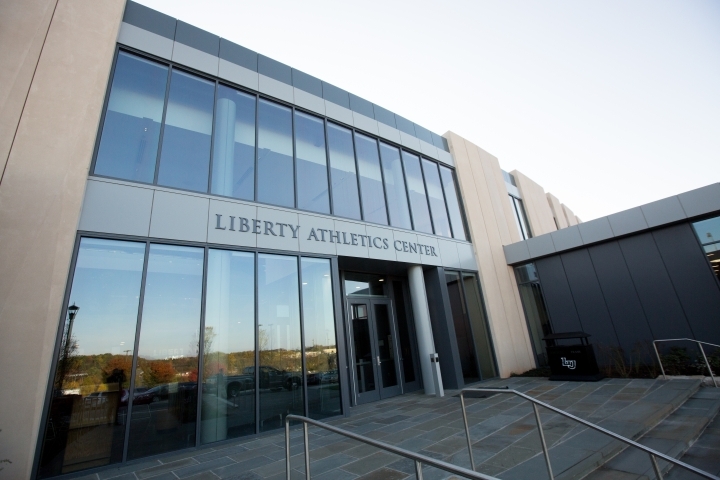 Why Choose Liberty’s Master of Arts in Sports Chaplaincy Online Program? The Master’sin Sports Chaplaincy degree is designed to prepare men and women for sports ministry rooted in biblical principles. There is a great need for ministers in the field of sports, and it is up to individuals like you to fulfill this calling. Liberty University’s chaplaincy programs strive to produce leaders in their fields with a quality education from seasoned professors who have acquired years of first-hand experience in the content being taught. As a student in the Master’s in Sports Chaplaincy online degree, you will have the opportunity to complete a practicum that will incorporate the knowledge obtained through your chaplaincy training online into personal experiences. Liberty’s chaplain studies seek to challenge you in both the theoretical and practical side of sports chaplaincy to advocate achieving higher standards of excellence. What Will You Learn in Our Sports Chaplain Program? Graduates of the Master’s in Sports Chaplaincy will be equipped with the leadership and organizational skills needed to develop, build, and maintain a community ministry opportunity on a variety of levels. Our online courses offer sports chaplain training that will assist in developing a ministry leadership plan that is both biblically and theologically based as well as culturally informed within the sports context The employment of basic skills in ethical advisement, counseling, teaching, and leading as a sports chaplain in religious and secular settings will be applied. Students will analyze the strategy and practice of sports chaplaincy based on current research, knowledge of the literature of the discipline, and experience in the field. Your sports chaplaincy studies will require you to complete a practicum for experience as a sports chaplain. We suggest this course be taken in the second semester of enrollment since it will be a prerequisite for most of the CHPL courses in the program. For this experience, you will essentially “shadow” a chaplain for the duration of the chaplaincy training online course. Completing a practicum allows the unique experience of marrying your sports chaplaincy training online courses with first-hand practical application to gain a deeper understanding of work in the chaplaincy field. By earning your online Master’s in Sports Chaplaincy degree from a nonprofit university whose online programs ranked in the top five of more than 2,100 online colleges and universities for academic quality, affordability, and accessibility, you will be set apart from others in your field. Tuition for our Chaplaincy programs, including Sports Chaplaincy, has not increased in three straight years. While many other online colleges have raised tuition, Liberty has been able to keep costs low as a non-profit university. You can complete our Sports Chaplaincy training online degree program in less than two years. Sports Management – Our COSMA accredited Master’s in Sports Management provides a comprehensive overview and understanding of the sports management industry. The program will equip you with the knowledge and skills that are used in a variety of related fields. Course subjects include marketing and public relations, education, ethics, economics and financial management, as well as social and legal issues in the area of sports management. Divinity in Chaplaincy – Liberty’s Master of Divinity in Chaplaincy is designed to provide you with an in-depth study of Scripture, biblical leadership principles and strategies, and the essential doctrines of the Christian faith. You will explore theological and cultural issues relevant to formal and informal chaplaincy settings while learning to minister to diverse audiences. View the Master of Arts in Sports Chaplaincy Course Syllabi (login required).